Listed below are just a few of the places that Begeara can be used in. 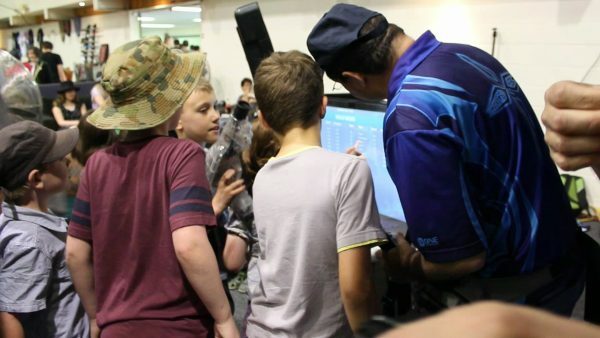 CanberraBegeara is increasingly sold as a value add to existing laser tag venues. Begeara can be added to your existing facility the ability to hire out a roll away package. Great for use at home parties and corporate events. Alternatively if you have an inflatable, you get almost unlimited marketing potential into schools and community fetes and fairs. Check out this video in which Doc Baldwin explains how he uses his Begeara system. The list of possible locations Begeara can be used is endless. You may want to stock more than one Begeara package. 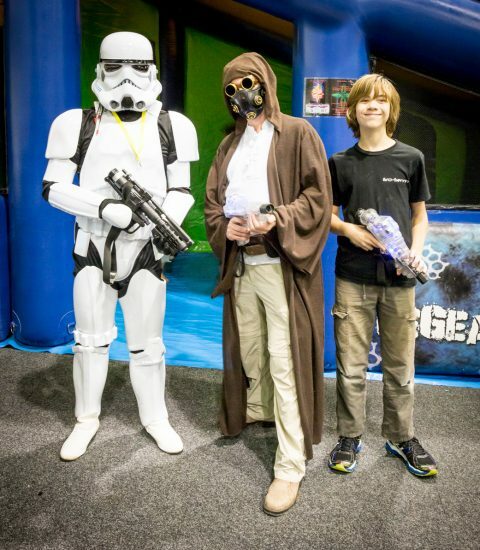 Check out the Image Gallery for images of cosplayers playing Begeara at a recent gaming convention. Increase the age group visiting your facility by a year or two or even more. Add extra fun to parties. Dramatically improve your bottom line. Now used in over 100 sites in the UK alone. Space available outside at your attraction? Why not utilize it? Increase your profits from the pool of visitors you already receive. It’s a great marketing tool that gives you an edge over your competitors. 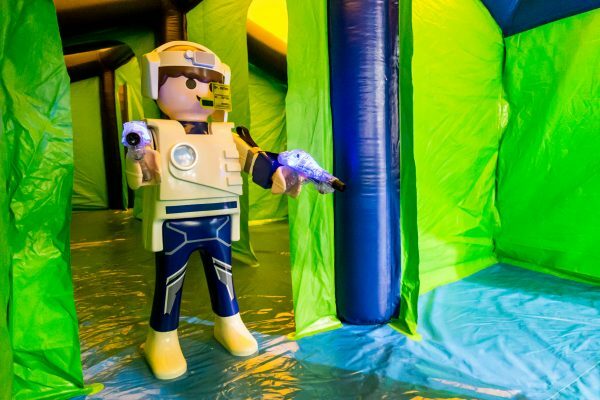 Add a laser tag arena. Bingo! A one man profit centre that pays itself off faster than any other comparable attraction taking up the same space. 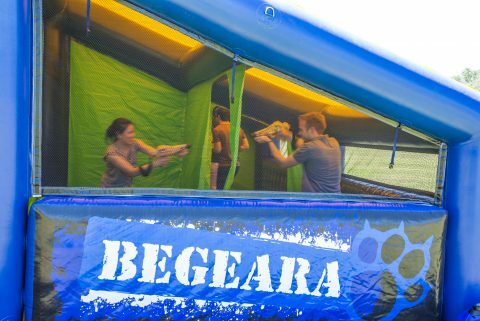 You may want to have a Begeara Inflatable to give customers the full experience.